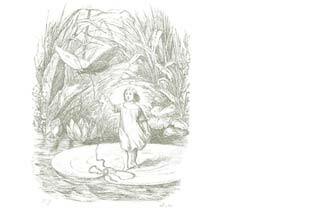 Fairy and Folk Tales From Around The World! Appropriate for children ages 6 and up. Fun for Adults as well. 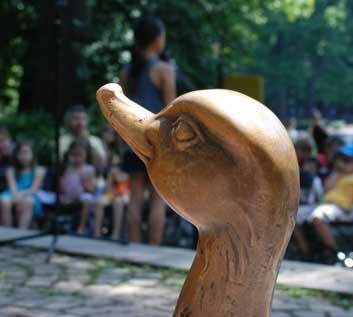 in Central Park,	New	York. Click to see map. Children are asked to sit with parents or guardians. Storytellling is held rain or shine. 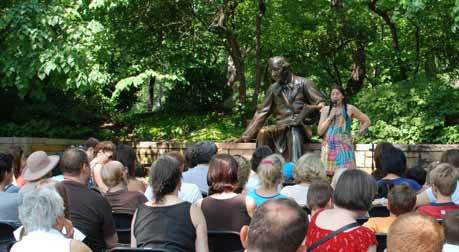 If you and the children in your life enjoy our free storytelling sessions in Central Park, please consider making a donation to ensure the continued survival of the program. 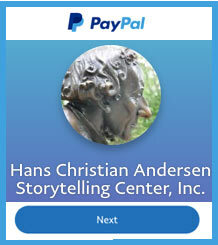 Hans Christian Andersen Storytelling Center is a not for profit corporation with 501(c)(3) status. Donations of $25 or above will receive a formal receipt. 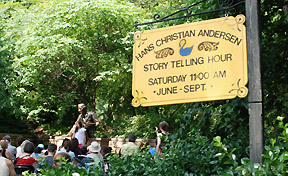 On Saturdays all summer long since 1956, New York children have gathered around Hans Christian Andersen's statue at the Conservatory Pond in Central Park to hear his tales told by a fine ensemble of storytellers. Celebrity performers such as Victor Borge, Eva la Gallienne, Fanny Hurst and Celeste Holm have also visited, telling their favorite stories. The idea for the statue originated with Baroness Alma Dahlerup, then president of the Danish-American Women's Association of New York, who had for years arranged for Andersen's stories to be read on the radio. Robert Moses, then New York City Parks Commissioner, secured the 'perfect' site and the City Department of Parks and Recreation and the Central Park Conservancy have given their active support ever since. A significant share of the funding for the statue came from donations made by school children both in Denmark and the United States. Danish-American sculptor George Lober created the larger-than-life bronze statue that was commissioned in 1954, in anticipation of marking the 150th anniversary of the author's birth. Hans Christian Andersens' well-rubbed knees are ample evidence of the fun children continue to have sitting on his lap. The statue has become a symbol of the good relations between the United States and Denmark. Following a tradition established by her father and mother, her Majesty, Queen Margrethe II visited the statue in 1976 during her American Bicentennial trip. Other members of the Danish royal family continue to visit. In 1964, the City of Copenhagen contributed two 19th century street lamps that now stand on each side of the statue. In 1985, New York City Parks Commissioner Henry Stern, wishing to reciprocate, sent two New York City street lamps to Copenhagen, which can be seen standing in Dantes Plads. More historic information to be found in "From The Archives."